2. Write 11 facts about yourself once nominated. 3. Answer the 11 questions from the person who nominated you. 4. 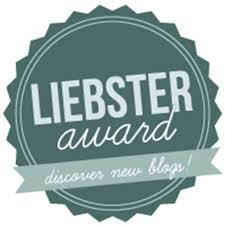 Nominate 11 blogs with 200 or less followers. Let them know they’ve been nominated. 1-9. Well Blogtober14 post had 9 random facts so I shall refer you to that post if you don’t mind!! 10. I play Sims! I have done since the very first release. Although I’ve not yet succumbed to Sims 4 – my computer won’t take it! 11. Growing up I was a Sega fan… not a Nintendo fan. 1.What is the best book you’ve read so far in 2014? I hate to admit it but I’ve actually not read a book this year! I read a lot in 2013 whilst I was travelling to work on the bus. I’ve got another Wendy Holden book that I want to read but I keep getting distracted by t’internet!! I have found Cysgod Y Cryman again and I’v started reading it! Let’s hope I can finish before the new year! 2.What is your favourite food to eat in autumn/winter? As it happens I blogged about this a couple of weeks ago – lobscows which is basically a Welsh lamb stew. 3.Where was the last place you travelled to? Malta – 14th to 21st October. I will blog about this soon! 4.What is your favourite snack food? Hmmmm….. crisps is a good one. Or chocolate – current cravings are Twix and Flake! 5.If you could learn any language (and were guaranteed to actually manage it! ), which would it be? I think Spanish would be a good one. I already know French and Spanish would be the next choice. I’m lazy so I’m not going to check if these people have less than 200 followers!! My mind can’t come up with 11 questions so I’m also giving you 5! 1. Are you looking forward to Christmas? 2. Do you have a favourite sport? 3. Do you live in the city or in the country? 4. Did you have a favourite toy as a child? 5. If you could be anyone besides yourself, who would you be? I used to play The Sims ALLLLL the time! I can’t quite get into the newer games in the same way but I think it’s because you have to really explore the game, which I never have time for now :(. This is why I’m still on Sims 3! I was still into Sims 2 for such a long time! It was the same here! My cousins had all the Nintendo consoles and game boy each. I was lucky enough to get the sega megadrive from dad at Christmas. I love it! I may not have the original one I was given but I still have a Megadrive! Thanks for the nomination! I will participate – hopefully I’ll find time over the weekend to do so.